Pool decks are where the action happens. Backyard hardscapes can be a place for family dinners or a friendly get together. A place for gathering and a place of enjoyment all year round. They are a fun area for both kids and adults. Let us help you enjoy and preserve the beauty & ambiance of your backyard oasis with paver cleaning in Lutz, FL. 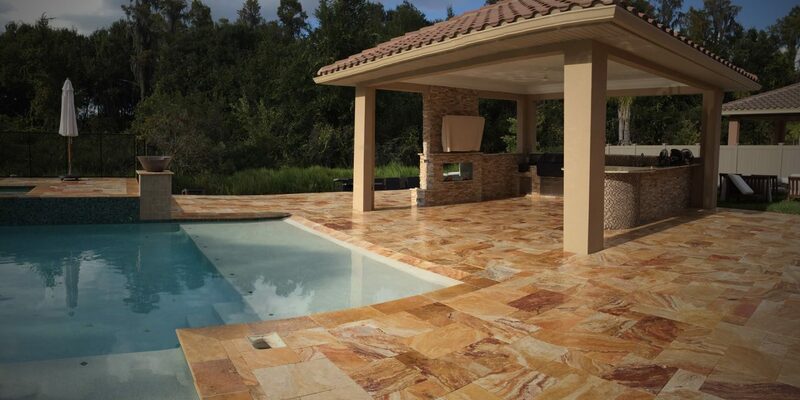 Travertine may be the most beautiful of all the outdoor hardscape options and the costliest as well. With various colors ranging from gray to coral red, this type of stone can really transform the exterior of your home with paver restoration in Land O’ Lakes, FL.